Salén Ship Management, as the technical manager of the cruise ships Island Sky and Hebridean Sky, has decided to replace the manual steering gear control systems with a redundant NautoSteer AS steering gear control system from Raytheon Anschütz. In addition to providing follow-up and non-follow-up control, NautoSteer AS also integrates the existing autopilot systems onboard. Raytheon Anschütz received the contracts via their Norwegian distributor Syberg AS. Systems will be replaced during Spring 2016. A key feature supporting increased safety is the simplified selector switch for two independent steering modes. A ‘Direct NFU’ tiller controls the steering gear directly without the use of electronics and a ‘Main’ steering position for all other controls based on redundant CAN-bus technology. In the main steering mode, NautoSteer AS allows taking-over control from any steering position. The supplied system includes advanced features, such as integrated steering failure monitoring, wire-break monitoring and data integrity monitoring – standard features of NautoSteer AS. NautoSteer AS can be adapted to and integrated into the most varied ship system environments. It is further optimized for simplified installation by providing easier wiring of standard power and bus connections, less cabling as well as quicker PC-based commissioning and system set-up - a perfect solution for new and retrofit installations. 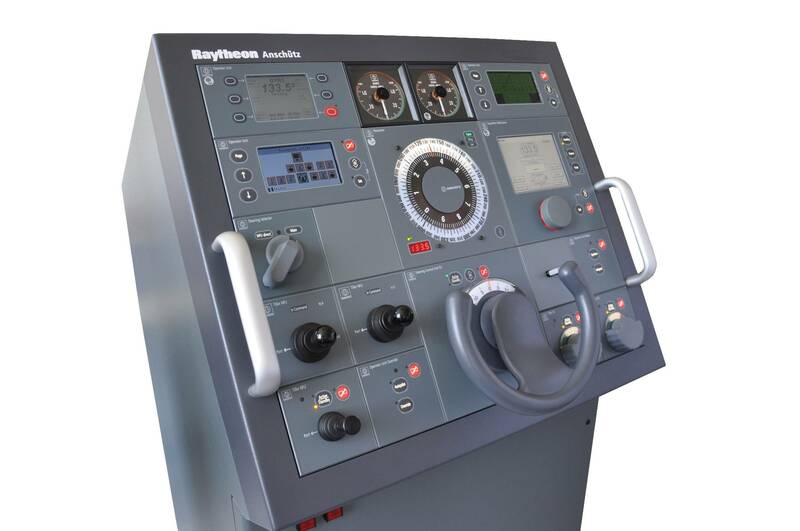 Raytheon Anschütz received the contracts via their Norwegian distributor Syberg AS, who sold the systems to the ship’s service provider, Triton Marine Services of Norway.